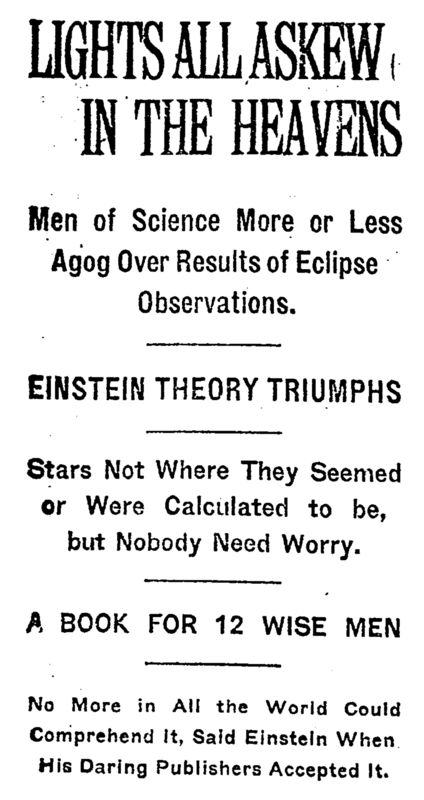 New York Times headline about Einstein’s theory of the curvature of space time. This hilariously-headlined New York Times article describes the results of the observational experiment performed during the 1919 eclipse. It highlights that the expedition proved Einstein’s prediction. But the writer claims that only 12 men on Earth can really understand the result: that light’s path is curved by space time.